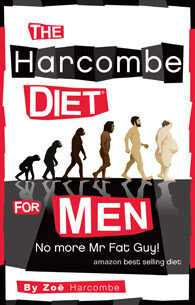 The Harcombe Diet® by Zoe Harcombe | Are nuts and seeds allowed? The Diet FAQs Are nuts and seeds allowed? Nuts are natural foods (especially in shells), but I advise not eating them in Phase 1 or 2 because of the fat and carb content. Peanuts, as an example, have 51g of fat and 25g of carb in a 100g portion. Nuts can be eaten in Phase 3 with the usual ‘not too much’ and ‘not too often’ advice for cheating well. I do advise people to think of food on a spectrum, rather than being black and white. On the spectrum of ‘sugar is about as bad as you can get’ and ‘Salade Niçoise is about as good as you can get’, nuts are definitely on the good side of the line, but they are best avoided while you are trying to lose weight. If you want to cheat, however, nuts are much better than all sweets and most crisps. Seeds vary in composition, but are quite similar to nuts. The most common seeds, sunflower seeds, are predominantly fats. 100g of sunflower seeds has 51g of fat and 20g of carbohydrate. Seeds are also best avoided in quantities, therefore, until Phase 3. A few nuts or seeds in (ideally) fat meal recipes will be fine. Just don’t eat them by the bag-full as snacks, otherwise both the carb and fat intake will soon add up.